Make your home special. 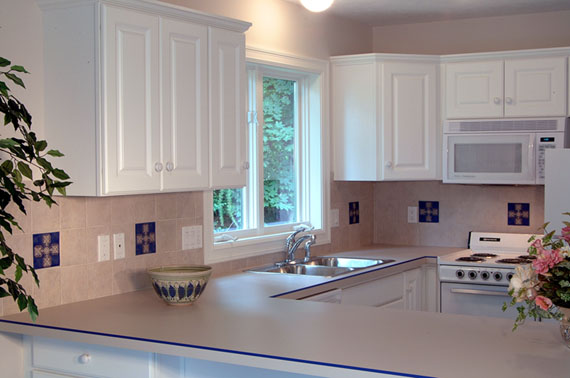 Installing handmade tile is a great way to add a touch of elegance and personality to your space, and it is easier than you think. Fireplace with four 6" zoomorphic Celtic tiles creatively mounted on the brick with wooden frames. 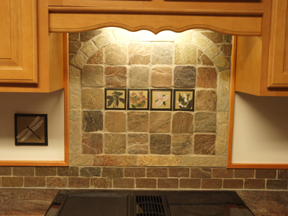 Kitchen backsplash with five 6" Celtic cross tiles in a custom color, set into commercial field tile. 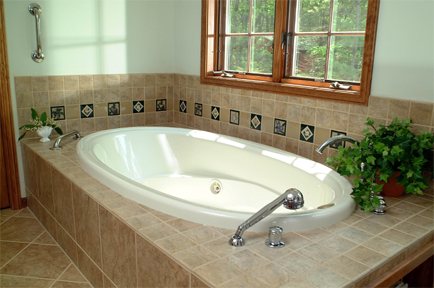 Tub Surround with several custom designed wildflower tiles and several matching field tile. set into a field of commercial tile. custom tiles are 4"
Beautiful installation using several 4" tiles, 12"X12" custom mural above the stove and a section of Celtic braid above the window. 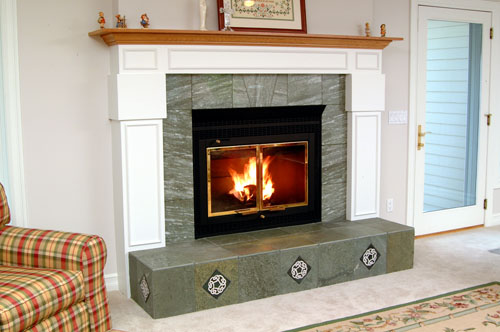 Celtic fireplace design featuring five Celtic knot 6" tiles set into slate on the hearth. a diamond is cut out of the 12" slate tile to fit the 6" tile. 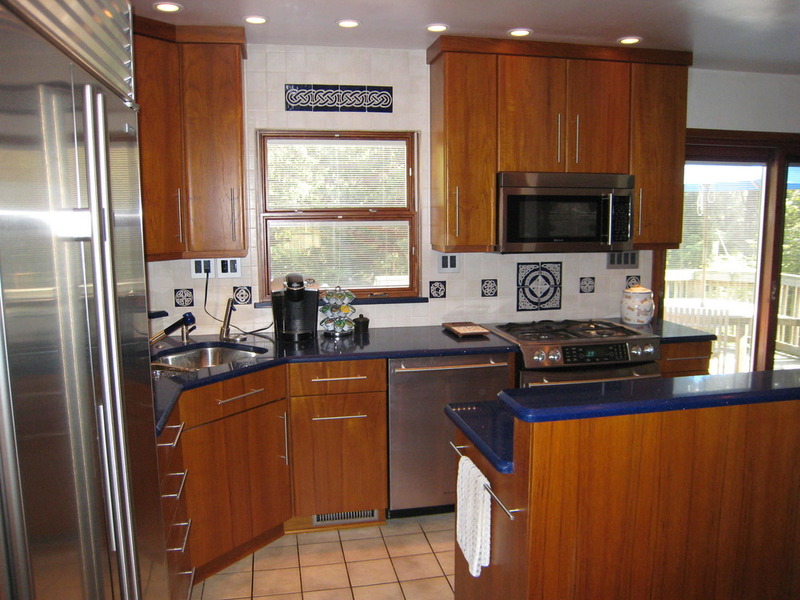 Rustic kitchen with several of our 4" and 6" nature designs. Tiles above the stove are set into natural stone field tile and the 6" tiles to the left is simply hung on drywall like a picture. A creative way to add a special touch to your space.